Deciding to purchase a car regardless of whether it is new or used is a major financial decision to consider. Additionally, it is imperative that you consider whether the car is in the proper condition to be worth the asking price that the dealer has listed. If you are located in the Coral Hills area and are looking for affordable cars for Sale in Coral Hills, then it is wise to reach out Expert Auto. By working with Expert Auto, you can be sure that you will be purchasing an affordable vehicle that is of superior quality. 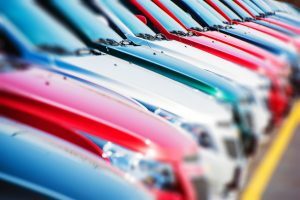 At Expert Auto, we pride ourselves on providing an inventory of high quality used and new vehicles at an affordable price. What makes our inventory so special is that we conduct a detailed inspection of each and every car that is for sale on our lot in order to ensure that the odometer has not been altered or that there is no prior damage to the frame. In fact, our technicians are trained to detect many potential problems that vehicles can hide a great deal until later on. In order to learn more about what we currently have in our inventory, it is best to schedule an appointment to take a look at our showroom. In order to learn more about Expert Auto and our affordable cars for Sale in Coral Hills, it is best to reach out to us today by dialing (866)429-0970. By doing so, you will be able to have an appointment to discuss your current financial situation and which corresponding vehicles of our inventory would be the ideal choice. Thus, do not hesitate to contact us today. We would be elated to assist you in your upcoming purchase.